My 4 year old son is starting to fall in love with Calvin and Hobbes. I enjoy reading it to him. I get to appreciate them all over again. This cartoon is an homage to a great strip and cartoonist. 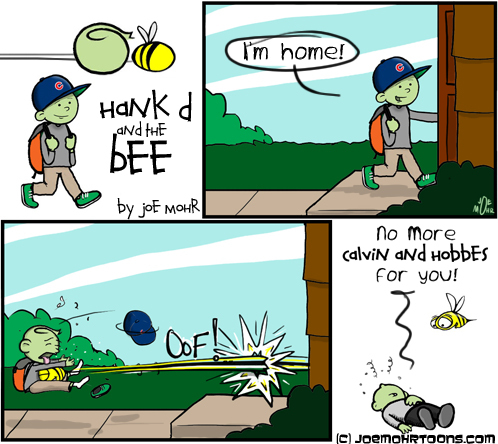 ← Hank D and the Bee: Exploding Eggs!